I am graduate of Bachelor of Science in Accountancy. 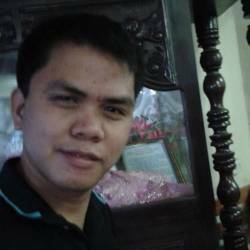 I 'm a freelancer that will offer my services, knowledge, expertise, experience on the various field of finance, accounting, audit, taxation, bookkeeping, financial reporting, and financial analysis. I am a graduate of Bachelor of Science in Accountancy from University of San Jose-Recoletos graduated with a good scholastic records or excellent grades of 92%. Currently I am building up my freelance career to offer my services, knowledge, expertise, and experience on the various field of finance, accounting, bookkeeping, financial preparation, financial reporting, business consultancy, financial analysis, tax preparation, and auditing that are beneficial to prospective employers. I am an expert of accounting software like Xero, Sage ERP 250, Quick Books, Wave, and Microsoft Dynamics Navision. My strength and field of expertise are virtual assistant, finance, accounting, financial analysis, invoice processing, payment processing, bank reconciliation, credit and collection, risk analysis, audit, financial statements preparation, financial reporting, tax preparation, bookkeeping, process system improvement analysis, business consulting, inventory management, purchase management, and risk management. I had total 6 years of combined work experienced in finance, accounting, consulting, financial analysis, system process improvement analysis, audit, financial reporting, invoicing, account reconciliation, bank reconciliation, invoice payment processing, account receivable collections, tax preparations, and bookkeeping on different foreign companies located in Australia, India, Israel, Sri Lanka, Germany, U.S.A., and Philippine local companies. I also have experienced and expertise on multiple accounting software or application like Quick Books, Xero, Sage ERP 250, Microsoft Dynamics Navision, Wave and MYOB. I also have expertise on Google Sheets, Spreadsheets, Office Excel, Office PowerPoint, Office Word, Chart and Table Presentations, Office Outlook, Gmail, Yahoo Mail, Social Media, Data Entry and Team Viewer. In my 6 years of work experienced my positions are relatively very relevant and important to the company. First, I work as auditor for a bake and bread company name as Julies Franchise Qiwqdzggaui. Fjcond, I work as Financial Analyst of an American company for 3 years company name is Innodata Knowledge Services, Inc. an American IT service management company. Third, I work as General Accounting/Bookkeeping for 1 year for an American company name I Innodata Knowledge Services, Inc. Fourth, I work as Bookkeeper, Accounts Payable and Treasury Office for almost 2 years for an American company name as Innodata Knowledge Services, Inc. Fifth, I work as Financial Analyst for 6 months for an Australian company name Ascentri, Inc. that deals on toy gaming machines. Lastly, I currently work as Financial Analyst for already 3 months to a Philippine local company name Trans Asia Shipping Lines, Inc. a shipping logistic and transportation company. My field of expertise are virtual assistant, finance, accounting, financial analysis, invoice processing, payment processing, bank reconciliation, credit and collection, risk analysis, audit, financial statements preparation and reporting, tax preparation, bookkeeping, process system improvement analysis, business consulting, inventory management, purchase management, and risk management. I have vast experience and expertise on multiple accounting software or application like Quick Books, XERO, SAGE ERP 250, Microsoft Dynamics Navision, and MYOB. I also have expertise on Google Sheets, Spreadsheets, Office Excel, Office PowerPoint, Office Word, Chart and Table Presentations, Office Outlook, Gmail, Yahoo Mail, Social Media, Data Entry and Team Viewer. I speak very fluent on English. I offer to every client of my skills, expertise, knowledge and experience in helping you grow your company, providing you the best finance, accounting, consultancy, and bookkeeping services that you needed. I will take care on your worries of recording and maintaining your books of accounts complete, relevant and accurate. I can assure you of my truthfulness, kind, patience, keen on details, real job experience, relevant skills, vast knowledge, fast learner, advance learning, and my dedication to help you in your business development and accounting data. I am confident that I’m very suited and fit for the job because of my analytical skills, mathematical skills, accounting skills, financial skills, management skills, leadership skills, accounting and finance experience, knowledge, dedication to work, love of data and numbers. Please see link below to view my detailed Resume, DISC and VALUES INDEX, and Sample Work. Please feel free to contact me anytime via my mobile phone +933940344574 and via Skype my? ?Skype ID: kspw_jbd121989. 1.) Check and review the general ledger entries of the parent company and it's subsidiaries. 2.) Do eliminations and entries of internal transactions for the preparation of Consolidated Financial Statements. 3.) Prepare and validate Profit & Loss Statement and Financial Performance Statements (Balance Sheets). 4.) Make purchase of orders for office and warehouse supplies. 5.) Vendors enrollment in the vendor module system. 6.) Prepare Cash Flows Forecasts and Actual with Variance Analysis. 7.) Prepare Account Updates on General Accounts for Management monthly submission. 8.) Make detailed Analysis on all major Accounts in Financial Statements. 9.) Direct reporting to Executive Vice President of Finance. 10.) Accounting software use is QuickBooks. 7.) Prepare Account Updates on General Accounts for Management weekly submission. 8.) Make report analysis and recommendations on the changes in financials and it's performance. 9.) Check and validate the VAT/GST taxes of every invoices or transactions. 10.) Check and validate the fixed assets once a month and reconcile with the fixed assets systems. 11.) Check, validate and seek approvals on credit memos. 12.) Prepare financial reports, documents and supporting reports for the external audits. 13.) Prepare financial management reports. 14.) Handles the Accounts Receivables and its collections from client. Answer client queries regarding their balances. 15.) Check, validate and review Accounts Payable transactions. 16.) Accounting software use is Microsoft Dynamics Navision 2013 and 2017 version, Xero, QuickBooks. 17.) Check and review Australian payroll and Australian taxes. 18.) Make analysis on Financial Statements and Analysis Reports in chart format. 1.) Receiving of NPO (Non Purchase Order) invoices from the vendor, suppliers, internal customers like production department and PO (purchase order) transactions from purchasing department. 2.) Check, examine and validate the invoice transactions and payment request if it's valid, fully approved and related to the business. 3.) Invoice matching, information validation and ask queries. 4.) Prepare excel summaries, fill up some needed information and forward it to the accounting for the completion of recording of transactions. 5.) Process the invoice transactions and record it in the Accounts Payable module process vouchers in order to be book in general ledger. Process invoices for payments around 350-400 invoices monthly from three subsidiaries of Innodata which are Sri Lanka, Israel and Germany. 6.) Make process selection that are due for the week and make the payment to different payment methods and upload payments to the bank online. Seek review and approvals. 7.) Set-up the payment in online banking payment and as for the payment approvals to finance managers. 8.) Doing cash recording and cash management twice a month. 9.) Doing bank reconciliation weekly and monitor the cash expenses and cash availability. 10.) Doing cash inflows analysis and cash budget forecast for cash funding requirement twice a month. 11.) Maintaining and monitoring the treasury and cash ledger for the specific subsidiaries assigned. 12.) Currently handling three Innodata subsidiaries that are located in Germany, Sri Lanka and Israel. 13.) Manage ten different bank accounts. 14.) Doing monthly financial reports and monitoring schedules that related to cash account and accounts payable account. 15.) Process, record and do payments for the inter-company transactions between Innodata subsidiaries and parent company. 16.) Follow the high standard and policies of the company to minimize fraud and risks. 17.) Always apply the KPI (Key Performance Indicator) and have outstanding APE (Annual Performance Evaluation). 18.) Always strictly follow and apply the company/department policies and the SOX (Sarbanes-Oxley Acct) requirements. 19.) Analyze, compute ad make entries for Forex Gain/Loss for restatement recording. 20.) Team meeting monthly for ad hoc discussions to further enhance the procedures, operations, processes and discuss the issues that the team encountered and find solutions to the problems. 21.) Accounting system use is ERP SAGE 250, SAGE 300, SAGE 500 (MAS 500). Use internal software applications to fast track the tasks and report preparations. 1.) Prepare monthly margin reports per project to determine the profitability of projects for the top management and production managers. 2.) Computing standard labor rates per hour per employee as basis for computing the standard rates. 3.) Handles different subsidiaries Sri Lanka, Israel, India, and Manila. 4.) Gathered time-sheet/time logs of the employee for labor cost computation. 5.) Evaluate and analyze the gathered log hours versus payroll paid hours per project basis. 6.) Send the evaluated hours for confirmation to project managers or project in-charge. 7.) Doing revenue and cost analysis of projects. 8.) Doing project margin analysis comparing computed cost over revenue of the projects. 9.) Gathering labor cost, non-labor cost, QA (quality assurance) cost for project managers. 10.) Doing analysis of cost over revenue for project managers. 11.) Gathering payroll salary for labor rates standard computation. 12.) Analyzing and evaluating quarterly payroll salary information for the basis of reports preparation and standard rates set-up. 13.) Makes entry of debit and credit of cost for both labor and non-labor to the subsidiary ledger. 14.) Analyzing labor and non-labor variances. 15.) Determine the cause of variances, make adjusting entries and prepare reports related to the variance findings. 16.) Making debit or credit entry to the ledger for the variance after knowing the cause of it per project basis. 17.) Evaluating the profitability margin of each projects and prepare reports and discuss with the management. 18.) Writing emails to client managers or staff for some queries. 19.) Answering the queries of project managers or project in-charge about revenue and costs data and project performance and recommend improvements. 20.) Accounting system use is ERP SAGE 250, SAGE 300, SAGE 500 (MAS 500). Use internal software applications to fast track the tasks and report preparations. 21.) Check and validate accounting general entries, accounts payable and payroll entries to determine if all are recorded accurately and recommend some adjustments if needed. 22.) Been exposed to the General ledger entries for both purchasing ledger, accounts payable ledger and general ledger of accounting. 23.) Previously handles different Innodata subsidiaries that located in Israel, Sri Lanka, India, Manila, Legazpi and Germany. 24.) Follow the high standard and policies of the company to minimize fraud and risks. 25.) Always apply the KPI (Key Performance Indicator) and have outstanding APE (Annual Performance Evaluation). 26.) Always strictly follow and apply the company/department policies and the SOX (Sarbanes-Oxley Acct) requirements. 27.) Team meeting monthly for ad hoc discussions to further enhance the procedures, operations, processes and discuss the issues that the team encountered and find solutions to the problems. 28.) Communicating and coordinating with the payroll personnel to have the copy of the payroll registers, employees payroll salary details and payroll incentives for the computation and analysis of payroll labor costs data. 1.) Analyze and understand the nature of invoice transactions provided by Accounts payable personnel for recording and payments. 2.) To supply data, account code, cost code, nature of account and information remarks to be used by accounts payable in there recording of payments. 3.) To record an accrual entries of expenses monthly. 4.) To record an amortization and depreciation of fixed and intangible asset monthly. 5.) To make or updates accounting schedules monthly. 6.) To supply general ledger account code for the system. 7.) To record revaluation on General ledger accounts like cash, assets and liabilities. 8.) To record transactions and expenses incurred or paid. 9.) To compute and record Forex restatement loss or gain. 10.) Preparation and analyzing financial statements. 11.) To prepare reports analysis to the finance managers on the movement of the expenses, assets and liabilities. 12.) Accounting system use is ERP SAGE 250, SAGE 300, SAGE 500 (MAS 500). Use internal software applications to fast track the tasks and report preparations. 13.) Been exposed to the GL entry for both accounts payable ledger and general ledger of accounting for the Innodata subsidiaries. 14.) Process and record the inter-company transactions between Innodata subsidiaries and parent company. 15.) Follow the high standard and policies of the company to minimize fraud and risks. 16.) Always apply the KPI (Key Performance Indicator) and have outstanding APE (Annual Performance Evaluation). 17.) Always strictly follow and apply the company/department policies and the SOX (Sarbanes-Oxley Acct) requirements. 18.) Team meeting monthly for ad hoc discussions to further enhance the procedures, operations, processes and discuss the issues that the team encountered and find solutions to the problems. 1.) Franchise consultancy, monitor the franchisee's bakeshop transactions on cash and sales. 2.) Evaluate franchisee's bakeshop compliance to the set standards and policies sets by the franchise owner regarding franchising rules whether it complies to maintain high public expectations on the products. 3.) Examine and audit the accuracy of the cash, inventory and sales declared for the purpose of royalty payment computation. 4.) Evaluating the bakeshop personnel's compliance to cleanliness and customer relationship. 5.) Talk to the franchisee on the findings and give recommendations for the improvements on their operations and compliance to the policies. 6.) Talk, discuss and give details on the findings of the audit and the franchisees feedback. 7.) Submit reports to the manager on the findings and the recommendations for further improvements. 9.) Team meeting weekly discussions to further enhance the procedures, operations, processes and discuss the issues that the team encountered and find solutions to the problems.